On 22nd October 2013, the Wine & Spirit Education Trust (WSET), in partnership with the Royal London Society for Blind People, launched a brand new Level 2 Award in Wines and Spirits course, specifically designed for blind and partially sighted students. This four-day course focuses on how to taste wine and spirits professionally as well as on the knowledge of the major grapes. 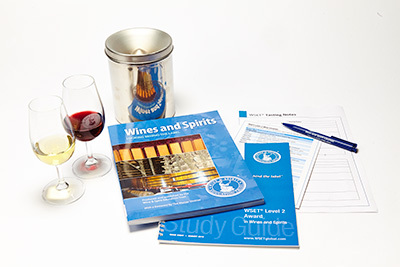 It will be available to a limited number of students from November 2013 to January 2015 and will take place at the WSET’s London Wine & Spirit School. This is a great opportunity for visual impaired students to learn more about wine and spirits and gain the sought-after WSET Level 2 qualification. The teaching and learning materials will be adapted for those with a sight impairment and the course will enable the students to acquire the same level as their counterparts following the regular equivalent course. Ian Harris AIWS, Chief Executive of WSET says: “As a charitable trust, we are always looking at how wine education can be made more accessible, so as many people as possible can reap the benefits of a WSET course. The course is free of charge but places are strictly limited so if you are interested, contact course tutor Jim Gore AIWS or RLSB Corporate Fundraising Manager, Rob Cartwright, directly through the WSET website. The WSET planned to extend this to Level 1 and Level 2 courses next year with timings to be confirmed.